Kids love these classic full-colour comics featuring the adventures of a little polar bear called Pom Pom and his puffin friend, Piffle. Each one leaves readers with an important gospel message. 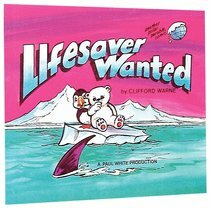 About "Lifesaver Wanted (Polar Comic Series)"